I'm blaming Kyle for this purchase. That's right, it's his fault for talking up this company, so I just had to get a new holster for the Colt. I don't have much , uhh, well, cushion, so I went with a conventional OWB style. I can't wait to break it in....because it should be named SuperStiff instead of superslide ! Oh, and it's the plain black cowhide. They start stiff... it'll break in. You gonna open carry without any type of retention? What kind of retention, a strap? The kydex isn't good enough? A strap, or anything that'll fit over the pistol to keep someone from grabbing and pulling it out, is what he was asking. Depends on how tight the kydex is, and how hard someone wants to take it. 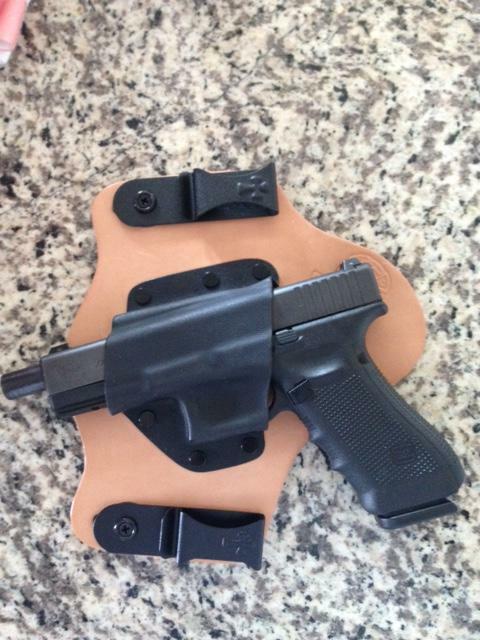 The holster is for in the field use only, not around people. It also would be tough for someone to grab, with the extra leather up top...not impossible, but difficult. A good "grabber' could pop a strap fairly easy as well, imo. Beat up on Ken Day! Beat up Ken day & no Hillary references yet?!? Again, for those that can't read (DON), I don't open carry in public. But if I did, the gun would not be strapped. I don't open carry in public. But if I did, the gun would not be strapped. IMHO public open carry is just exposing you and drawing unnecessary/unwanted attention. For the life of me, i can't figure out why that would be anybody's preference. I get the 2a rally demonstrations and stuff, but that's different... it's an exhibition. I open carry in the woods, in my yard, etc etc. Never in public. No one on this sight agitates me, and probably never will. But I can dish it back now and then! Open carry on the farm and it's in the way a lot, but public places CC. I've taken to wearing sports jackets a lot more because of that. I get my troll merit badge now? Just ordered a supertuck for a glock, claimed 5-6 weeks for it to ship..... A little bummed after ordering it & reading that. Congrats on the purchase. I'm a fan of Crossbreed holsters. 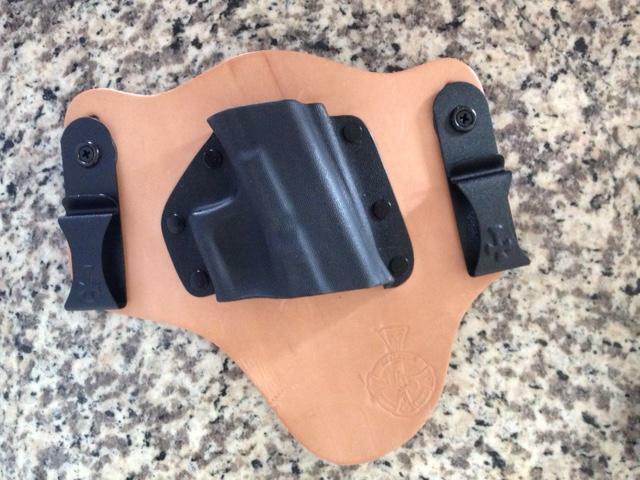 I've got a supertuck for my 1911s and a IWB double mag pouch as well. Great product, and really comfortable. For OWB I use a Blackhawk CQC, but that's just me. Worth the wait... you'll love it. It took 3 weeks to get mine. I called after 2 weeks, and they said I was in line, and coming up next. I went with standard cowhide because it comes black. ...love the holster, but realized that it's taking the "paint" off the 1911 fairly quick. I guess the kydex's pressure points are tighter than the old uncle mikes standard plastic edition because it didn't leave a scratch after carrying on multiple hunting trips. I took a heat gun to the kydex to lighten the grip, but it's still leaving marks. 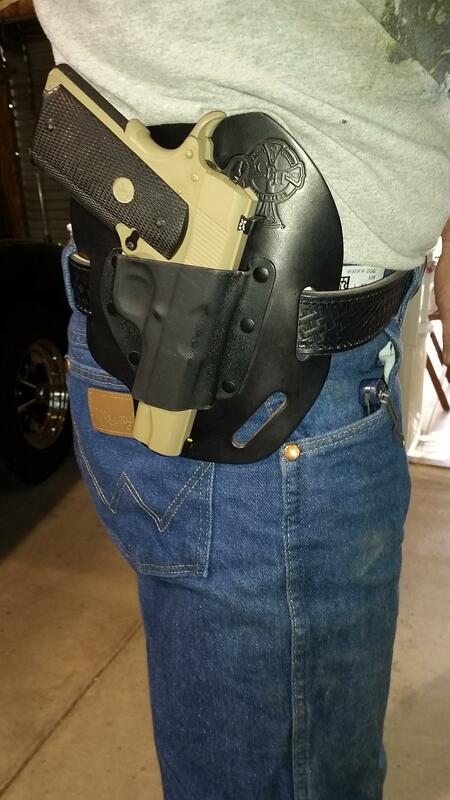 If it's the supertuck, it might be your belt more than the kydex. Tension on those comes from how tight your belt is. I haven't any more holster wear on my 1911s using the supertuck versus my kydex OWB holsters. Curious. Tate has always been a very clever guy, his timing was impeccable this go around! Not sure I agree on the open carry aspect of all this. I realize in a large urban area the logic of not exposing yourself to threat by advertising your firearm. That said, it's impossible to gauge how many threats are dissuaded by the obvious reality a armed individual is on location. I may order one of these myself for my 1911... but honestly my Bersa is my preferred carry weapon, and almost no one makes a holster for them. my Bersa is my preferred carry weapon, and almost no one makes a holster for them. 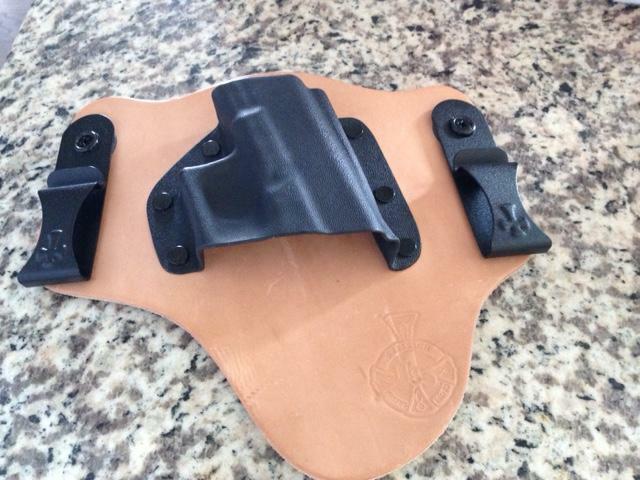 They have kits to DIY your own holster. Comes with the kydex and the snaps and loops and etc. Plus its one more thing that can go in the barn. I could see myself spending some quality time in Koot's barn! He peaked my interest when he started finding old bombs! But frankly the old Dodge stuff is hard to stay away from...Like him, I just love those old trucks. So I checked that link our for simply rugged... They have one for the Bersa .380. I carry a .45 so I E mailed them and we shall see what they say. Regardless...thanks for the lead. I have a Bersa Open carry holster that works well...but it could be improved upon considerably. Don.... the barn has some amazing amounts of junk in it. So much, that yesterday I found a complete VE Motor I forgot all about. Bet we'd even have time to poke some holes in some paper with my .270 I just finished. I don't even know how to respond to such a heinous attack, and by formerly trusted insiders. Guess I'll have to ban the first one for suggestin' he could git ma motor runnin' and the second for complicacy in the acts of the first one! OK you two are banned, but I'll let you return, say, now, and let you off for time served! It arrived in the mail today, 3 days shy of month turn around. Will unpackaged it tomorrow & try it on for size. Congrats! I'm sure you'll like it. They put their crosses on all the clips. As for cut, you could do that yourself with an x-acto or carpet knife if you wanted to. Exactly. I cut mine with steel shears, and then used a bench grinder to fine tune it. That was pretty obvious, from the pistol's orientation in the holster.